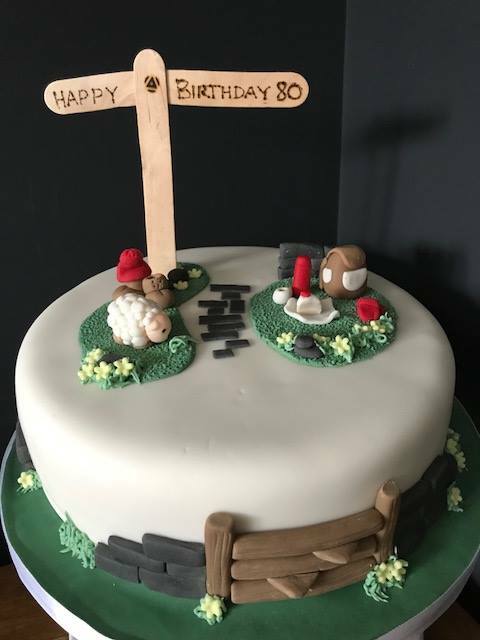 A walking themed cake for Jenny who is celebrating her 80th birthday. Cake is a vanilla vodka fruit cake covered with marzipan and soft fondant icing. Decorations are made from fondant icing, a little bit of pipe work and the sign post is wooden lollipop sticks which have been etched with my pyrography kit!